This video series is dedicated to the dreamer, the builder in all of us. It is human nature to build or create something and be recognized and accepted for our efforts. Sometimes, we just need to be reminded of the incredible opportunities afforded in this career we have chosen. Whether you are just kicking off or need a kick start, this series will help you discover or rediscover how to dream and write the pages to make your personal success story a reality! What do I really want out of my career? How can I take my sales career to the next level? How can I get back on track when things do go as planned? How can I think BIG and then make it happen? Sound familiar? The answer to these and many other questions can be answered, if we are serious about pursuing them and have the proper approach and tools in hand. This series will provide you step by step instructions on how to take your sales career as high as you want to take it! Don’t let another opportunity pass you by. Don’t get caught sleep walking through another day of your sales career. Wake up, dream big and start right now! 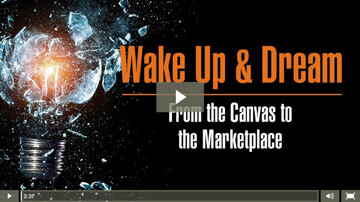 This video features a recording of the popular topic “Wake Up and Dream” presented live in conferences and meetings throughout the past year. This thirty minute presentation sets the stage for this video series. Become inspired to discover the dreamer in you and then get ready to build your personal success story and take it to the marketplace. Use this bonus feature to fire up the troops or help you re-ignite and energize your career development efforts. Don’t sleepwalk through another opportunity. Wake up…and dream. Enjoy! 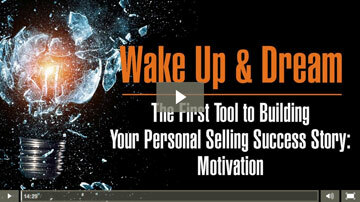 This video provides you with an overview of all the concepts and tools you will be given to build and live your personal selling success story. Get ready… it’s time to set the stage to start living your dream! Two: Discovering the Dreamer - Let’s Talk About You! The first key to living your dream is to understand the dreamer; what led you here today? Why you said “yes”. The manner in how you arrived in this career, how you think, act and respond will not only determine how you run your practice but also how you will dream and to what degree you will pursue it. Your story is unique, but you arrived from some very specific components. 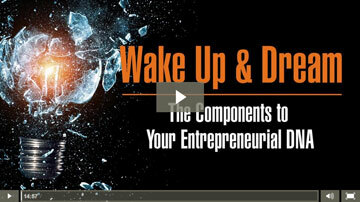 This video introduces a new concept to entrepreneurship and breaks down the four critical components to your specific entrepreneurial DNA. When you understand how you got here, it can positively impact where you’re headed! As with any endeavor, the key to long term success is laying a solid foundation. Establishing the most important things first! Every successful sales person and entrepreneur possesses these qualities unconditionally. 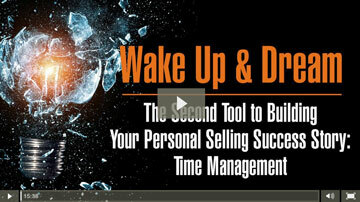 This video provides two proven “must-haves” before you begin. Without them, you may never get your dream off the canvas. Motivation must be personal! You must define it, find it and put it into motion. Without these applications, motivation is just a buzz word that sounds good! Discover the difference in pursuing your dream from a position of inspiration versus obligation and how to put your personal motivation into action! One of the most precious commodities we have is time. Managing it, however is NOT easy. It requires a master’s degree effort. This video discusses your “Time Worth Account” and four strategies for successful time management. Winners keep score…period. There is no way to know how you are progressing toward your dream unless you track it. Learn the value of this incredible discipline through the example of our friend J. Sales Pro. Your dream is waiting but you must take a “true ownership” approach to pursuing it. This video defines the condition, cause and effects of true ownership and the proven symptoms displayed that validate you possess the real deal! Learn the difference between trial and true ownership and its impact on your results. 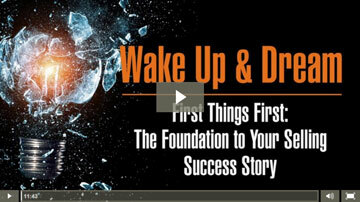 This video provides you with a valuable lesson based upon my personal selling career experience. I will provide you with three proven concepts to help get you back on track should you ever stumble. From my example you will be able to evaluate your personal true ownership statement of condition to help you launch your next big dream. With all you have learned, the foundation, the tools and the right ownership approach, it’s time to take your dream from the canvas and put it in your marketplace. 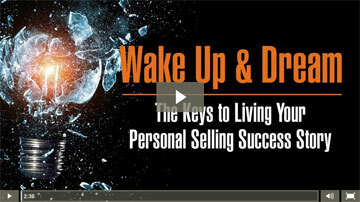 It is time to start living your personal selling success story. Will you accept the challenge?